Having a husband with a passion for classic cars and motorbikes, we occasionally attend related, themed events and meetings. While sometimes I would rather stay home with the dog, other times it makes sense to make these a day out and make the most of them. 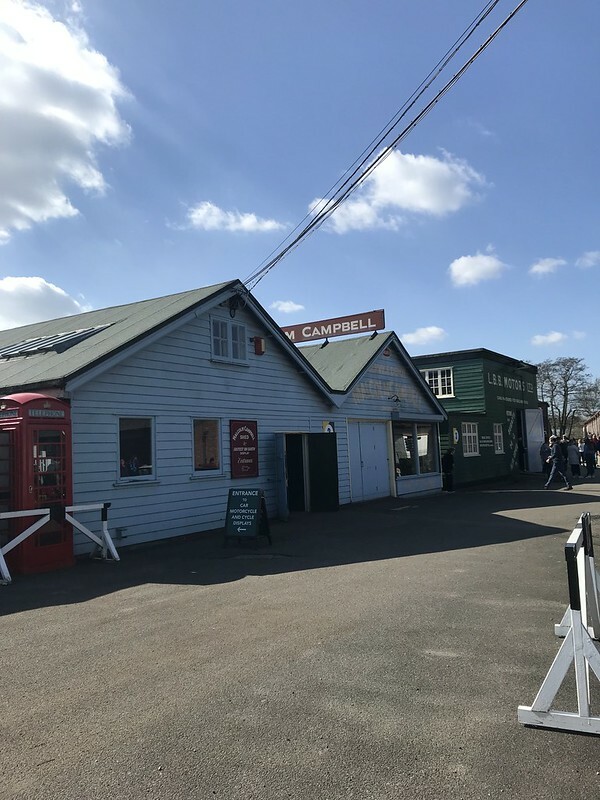 One place we’ve visited a few times is Brooklands Museum, near Weybridge in Surrey. 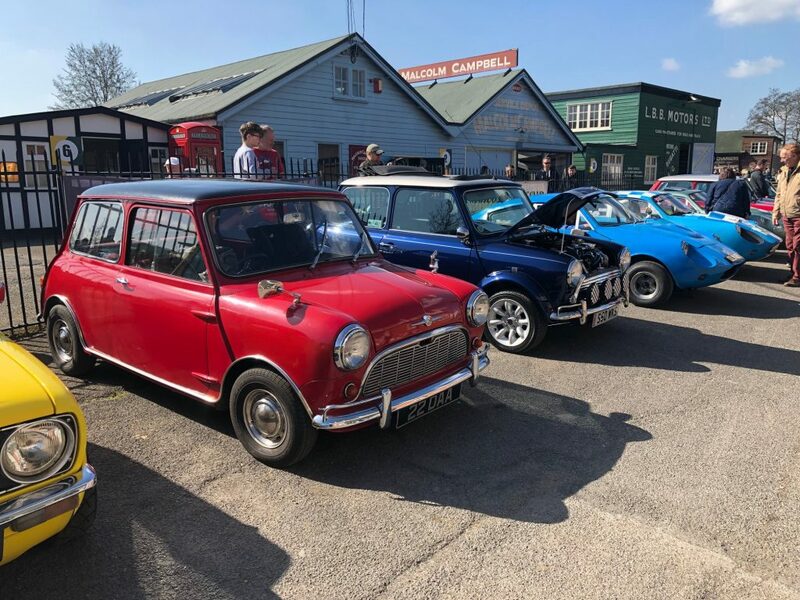 Yet we had never visited as a ‘family’; the Mini event seemed a good opportunity do such a thing, especially given that it was a beautifully sunny spring day. Brooklands is way more than a ‘car’ meeting place. It has a lot of history behind, and visiting with a 2 years old toddler is surprisingly good fun. 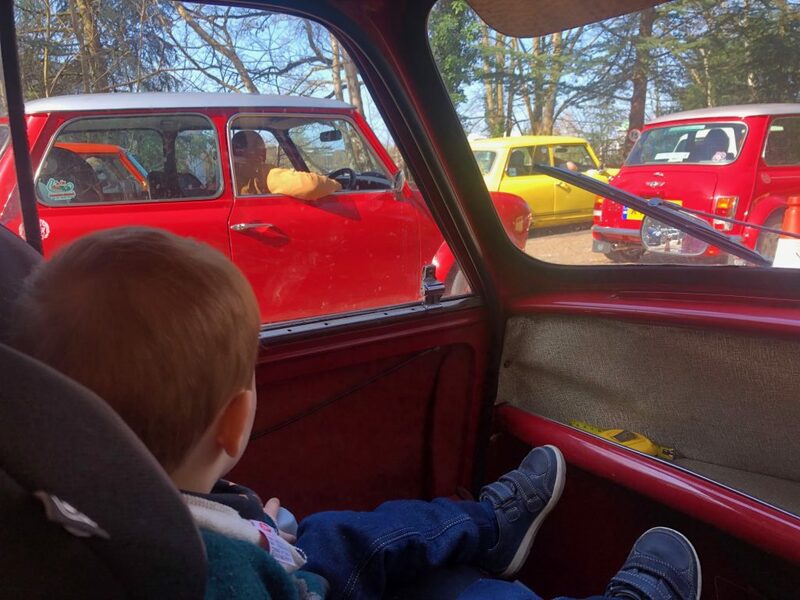 There is loads to do, as long as your toddler or child has an interest in cars and planes and buses, of course. Brooklands, the world’s first purpose-built motor racing circuit, was built by local landowner Hugh Locke King on 330 acres of farm and woodland on his estate at Weybridge in Surrey. Work commenced in late 1906. The place has also a lot of history in the aviation field. Brooklands was a major centre for aircraft design, construction and flight testing for most of the 20th century. 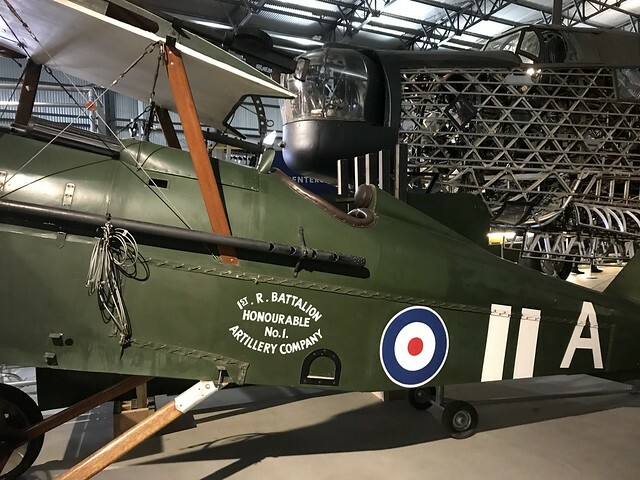 From A V Roe’s first trials here in 1907-08, through many decades of manufacture by such companies as BAC, Bleriot, British Aerospace, Hawker, Sopwith and Vickers, no other place in Britain, possibly even in the world, has seen such achievements. Some 18,600 new aircraft of nearly 250 types were first flown, manufactured or assembled at Brooklands. Its tracks were also using for cycling and there is a cycling exhibition to visit too. Of course, if you are attending a specific car meet up, be prepared to queue. We arrived just before 9.30, after opening time (9am) and the queue to get in was huge, it took us over half an hour to actually get inside. You pay as you get in, so that causes delays (£29 for two adults). 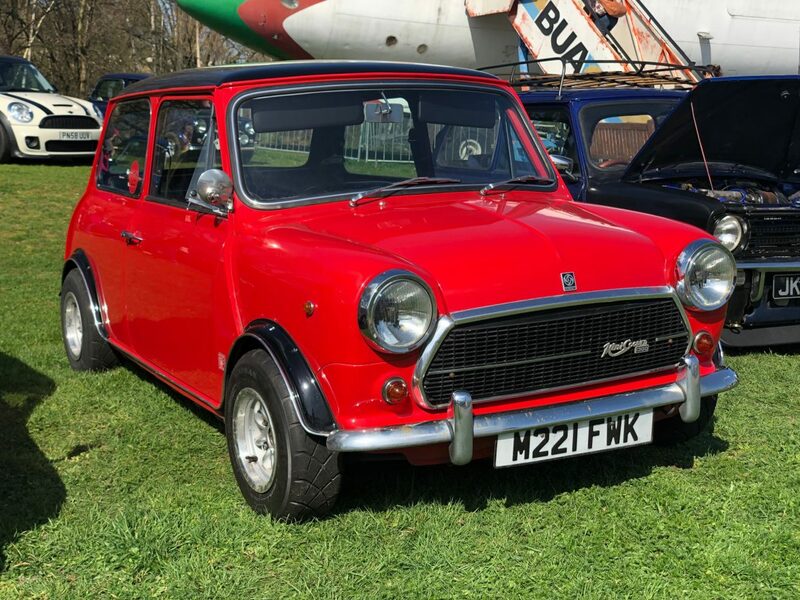 Sadly, when they do Mini days, they also allow modern minis which spoils the fun, yet if you turn up in a cool classic mini, you also get allowed to park in a prominent place. We parked right by the café! 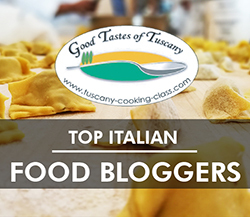 The host a variety of themed events, from Italian classics to motorbike days so check out their calendar to see what takes your fancy. It is an impressive sight to see thousands of the same type of vehicle all lined up! These make a really beautiful and vintage backdrop to your visit and look really photogenic and offer some indoor activity on a cold day. The café on site – called the Sunbeam café after the English brand of cars and bikes – is really lovely if a little confused in the layout. It has loads of ‘museum’ rooms which are also themed and has plenty of memorabilia on the walls as well as cars and bikes. There is a hot food counter and a coffee and cakes counter (with Union coffee). It is reasonably priced. The best bit for families with kids under 2 is the indoor soft play area. Not huge, but it’s big enough, and our little one loved spending about half an hour there before I managed to drag him out. I was able to enjoy my coffee and slide of pecan pie in relative peace in the meantime. There are food carts outside, and the queues are long of course, but there is a decent variety (BBQ and the likes). 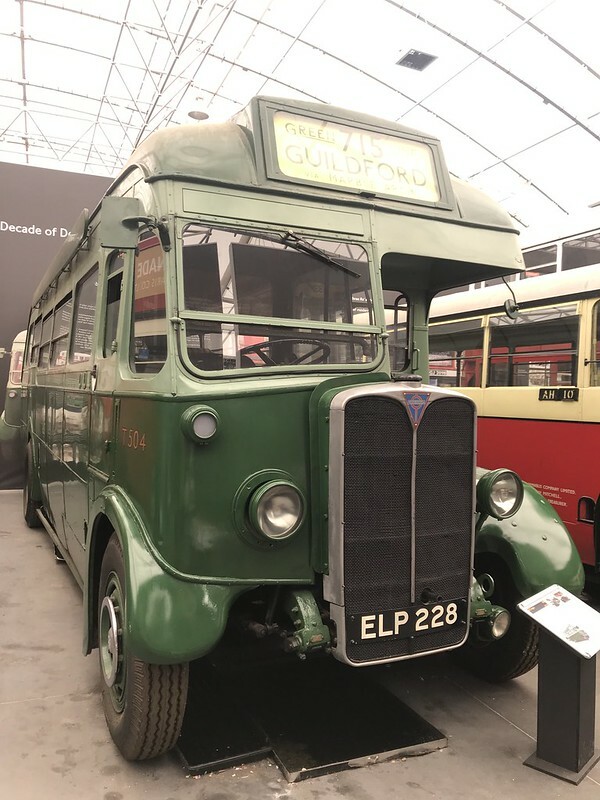 While Brooklands itself is a ‘museum’ because there is so much to see and do, there is also a smaller section which is the Bus museum, and it’s included in the ticket price. Our son loved it, because there are plenty of historic buses (green and red!) and a small area to do some colouring too. A lot of the buses have a minion toy in their driver’s window and he loved looking and pointing at them . Now, these are where Brooklands really excels. 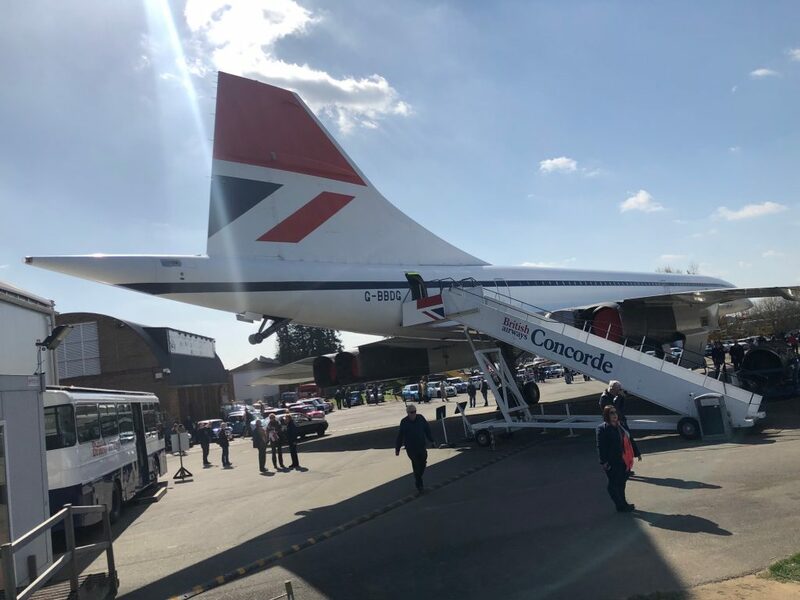 There is a number of aeroplanes dotted in the grounds, including a beautiful Concorde (extra cost to visit). Some are big, some are smaller, but most of them are open to visitors, and our little one loved going inside. We found the Sultan of Oman 1960’s plane particularly stunning. 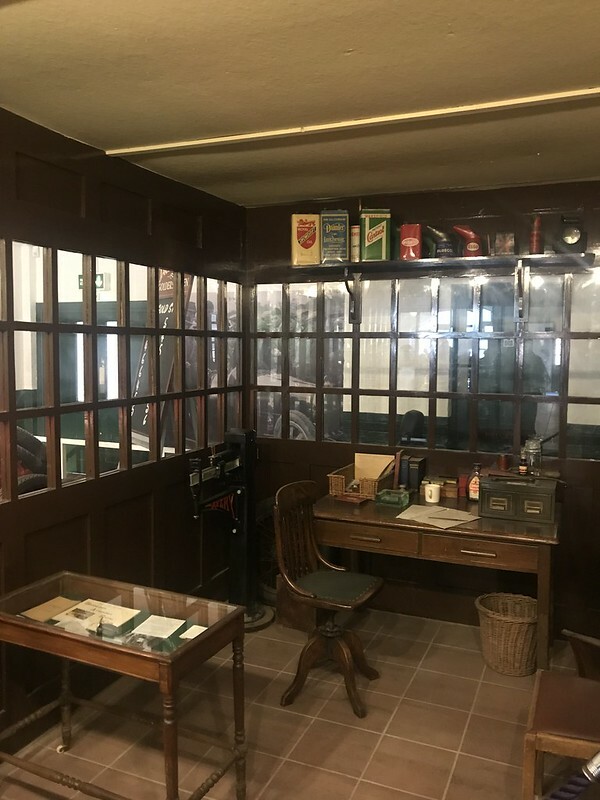 We also visited the newly refurbished Bellman Hangar where a number of older planes are on display and, for older kids, there’s a chance to make your own plane and also stamp a visitor’s card. 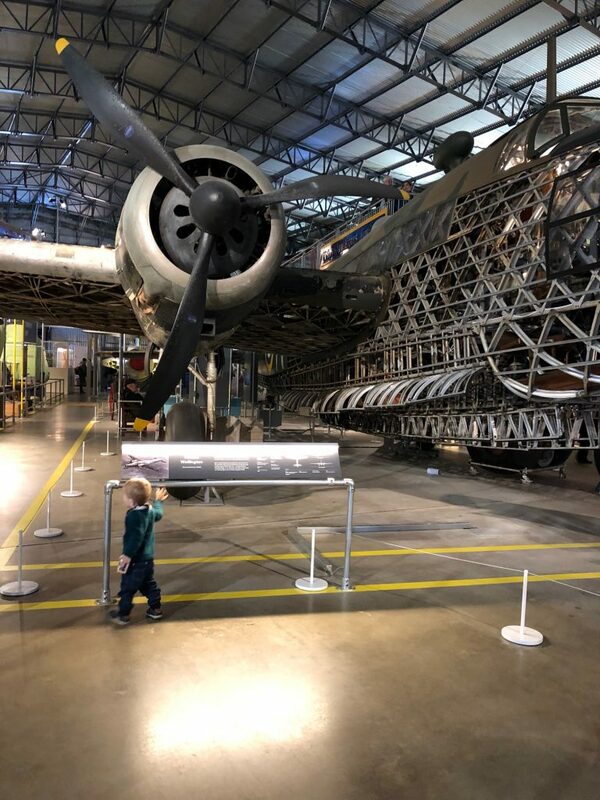 As we realised, Brooklands Museum is a fantastic place for a family outing. They offer a range of fun, interactive activities for families, all year round. During school holidays and many event days they even run extra specially themed activities. Children can explore the Museum using one of the free trails, which can be collected from the shop on arrival. There are car rides and family workshops too. I could not recommend a visit to Brooklands Museum more. It takes about 45 minutes from Central London on a good day (traffic-wise) and it is worth planning on a 4-5 hours visit. The only down side for us is that dogs are not allowed (unless they are assistance dogs) which for us, is a shame. Our family is not complete without our dog with us!